No, those aren’t math test scores, they're last week’s temperatures. With the sun's heat rising up, you'll definitely want to stay cool and hydrated. To help combat this summer's heat wave, Downtown Lincoln put together a list of cold beverages. 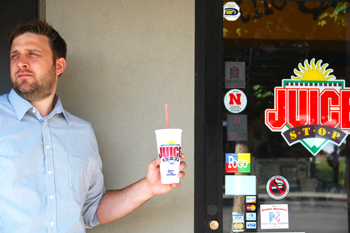 Other than a great AC unit, these businesses whip up a special cold beverage like none other. Overlooking common drinks, each business has a highlighted cold beverage that makes them a great spot on a hot day. "Juice for the journey" indeed. With more flavors than snowboard moves, Juice Stop smoothies can send you to the cold mountains with a 1080 or into the ocean with a Rip Tide. We're all familiar with Starbucks, but what you might not know is the huge extent of cold beverages they offer. Looking past the variety of smoothies and cold brews, Starbucks has a line of sparkling, green coffee drinks called Refreshers with three sweet flavors to choose from before you even get to the register. The Granita is one cool, summer coffee blend. 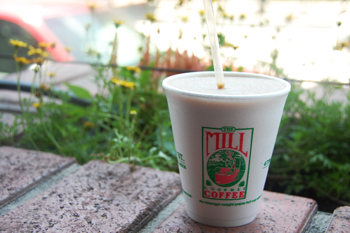 This Mill signature drink is a blended ice toddy with syrup and milk. The ice blenders sit right behind the counter, keeping a quick cup ready to cool you down during a pit stop. 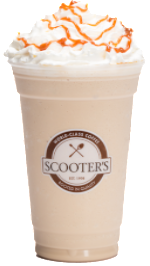 Scooters boasts classic iced coffee drinks as well as their claim to fame, the Caramelicious. Their sweet signature fuses world-class espresso with rich, velvety caramel sauce and an ice cream base. Topped off with fluffy whipped cream and drizzled with caramel sauce, the Carmelicious is a sweet summertime treat. Breezy Island Ice has a large selection of snow cones and flavors of alcoholic daiquiris for adults. They are all made with 100 percent cane sugar. Summer officially started June 20, and The Coffee House has multiple summertime drink specials avaliable. 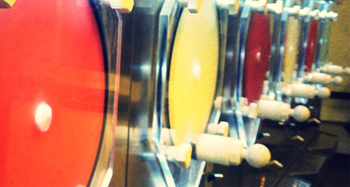 This season they'll highlight the Cherry Bomb, the New Old Fashioned, the Tea Spritzer and the Espresso Soda. Stop in the shop from 5-9 PM everyday for happy hour pricing on these and other select iced drinks. New this year is High Vibe Cafe. They are whipping up fresh squeezed juices of all types. 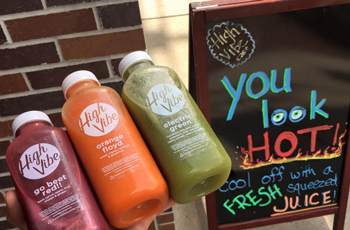 With fun names like Go Beet Red and Orange Floyd, High Vibe is adding a unique spin on cool summer drinks. Located in the lower level of the Apothecary, Crescent Moon Coffee is a great way to hide from the rays while drinking an Italian Soda. 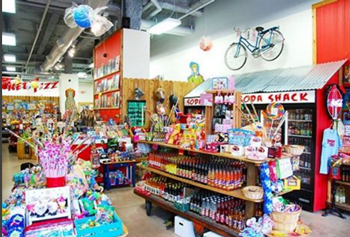 Rocket Fizz is best known for it's vintage candy, but they have a massive refrigerator full of soda as well. When sweat and sweet meet, it's time to try a bacon flavored soda or a Sarsparilla.